Albania is a small southeast European country that shares its boundaries with Montenegro, Macedonia and Greece. Its capital city is its Tirana and Albanian is the official language. The country’s landscape rises into spectacular mountains dotted with pristine rivers and lakes before it lowers itself into the magnificent Adriatic and Ionian Sea coastlines. As a result, the country is a preferred destination for nature lovers who are presented with a myriad of outdoor activities that keep them coming back for more. Nevertheless, it is not just the terrain that draws people to Albania; no, the country’s rich history is also worth mentioning. The Albanians have held on to their culture that extends from the ancient Illyrians and Greeks to the more recent Communists. As such, the country boasts of several UNESCO World Heritage sites including Butrinti, Gjirokastra and Berati. Moreover, the people’s hospitality is not to be overlooked and the late Mother Teresa, who is one of their own, is evidence of this fact. If you are fascinated by history, then Albania will please you. The country plays host to many churches, monasteries and mosques (some of which date as far back as the Byzantine Era). What’s more, as you traverse the countryside, you will get to see bridges and monuments that were built by the Ottomans as well as castles from the middle ages. So, what does one do while in Albania? Well, at the top of your to-do list should be an excursion to the Albanian Riviera. Here, you will spoil yourself with exotic sea food and great raki as you watch the sun set over the Ionian Sea. 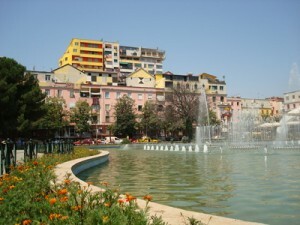 Next, pack your bags and head to the capital Tirana. While here, enjoy its beautiful colours, museums and galleries. Finally, you cannot leave Albania without visiting its national parks and sanctuaries. Begin with the Divjaka National Park where the endangered Dalmatian Pelican makes its home and then proceed to Lake Shkodra, a bird-watcher’s haven that is home to more than 280 bird species. Furthermore, if you are craving for adventure, then journey south to Llogara and be amazed by its cliffs that have become a hot-spot for paragliders. You may also make your way to Rivers Vjosa and Osum and enjoy some whitewater rafting. One has not truly visited Albania unless he/she has tasted Albanian food. The people take pride in their Mediterranean cuisine that revolves around bread, fresh fruits and vegetables, chicken, lamb and rabbit. In fact, one of their most popular sweet bites is the byrek which is a variation of the regional baklava. Moreover, coffee is a pillar of Albanian culture and the locals love theirs strong.